Discover Las Vegas in a new way by renting a Ferrari sports car. The perfect place to experience one of the most Iconic Italian sports cars of all time. The city of Las Vegas is a fun city to enjoy our exotic car rental service. What would be sweeter than cruising through the Las Vegas strip in a brand new convertible Ferrari? Enjoy your time in sin city by getting a Ferrari 488 GTB or a Ferrari 458 spider delivered to your hotel on the strip for free. Get behind the wheel of your favorite Ferrari rentals in Las Vegas. What are you waiting for rent a Ferrari in Las Vegas today! Don’t worry we won’t tell anyone your Ferrari is rented, after all, what happens in Vegas stays in Vegas. If you’re looking for something different we have a whole list of Vegas exotic car rentals to choose from. Luxury car rental at las vegas airport has never been easier. We provide free gas and delivery to McCarren International Airport upon request. You will feel like royalty when you drive off the lot in a shiny new Ferrari. Ferrari Rental Cost & Availability in Vegas. How much does it cost to rent a Ferrari in Vegas? The cost to rent a Ferrari in Las Vegas can vary anywhere between $995-$1999 per day depending on which Ferrari rental you choose to rent. There is also a security deposit of $500 required on the day of the rental. Take a seat in one of the most iconic exotic cars in the world. We provide long term Ferrari rental prices if you would like to rent a Ferrari for a week or more. 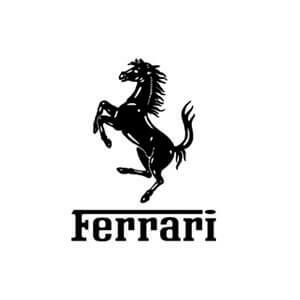 Call us today and someone on our concierge team can help you decide on what Ferrari rental to choose. We also provide free gas and delivery to McCarren International Airport.